One of the best aspects of Louis Prima, Sam Butera, and their revolving cast of Witnesses is the way that they combined jazz, swing, and early rock ‘n’ roll into a lively, danceable sound. 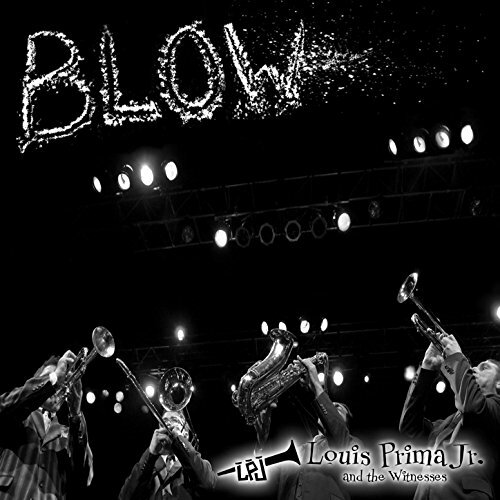 Louis Prima, Jr. and his Witnesses do the same thing on their latest recording, Blow. And blow they do. All the instrumentalists are given room to solo, but they keep it compact and tight with most of the tunes clocking in less than three and half minutes. 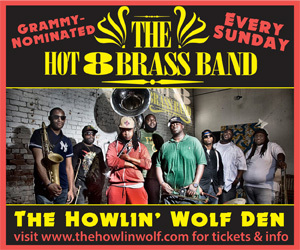 As tight as the music is, the band is loose and makes sure that the fun comes across as much as the musicianship. In contrast to the swing band revival of the ’90s, this band seems more concerned about making sure that the notes are there as well as the attitude. And even though there is some of the Prima Las Vegas ’60s shtick, it doesn’t call attention to itself or become a cliché in the same way that the original Prima/Witnesses band eventually became. Prima, Jr. is great at singing both the wild up-tempo tunes and ballads, and the band’s energy would work for older swing establishments like the Max and at more rock ‘n’ roll clubs like One Eyed Jacks. Who knew that Adam Ant’s new-wave classic “Goody Two Shoes” could sound so good as a rocking horn band tune that it almost sounds like Louis Prima wrote it?